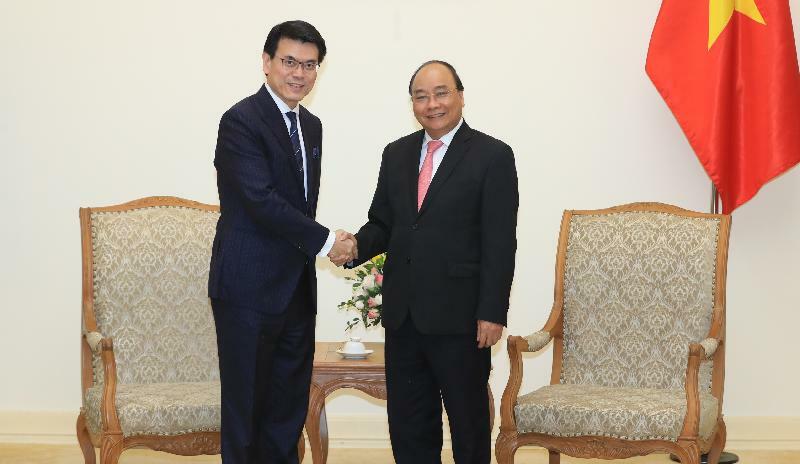 The Secretary for Commerce and Economic Development, Mr Edward Yau, met with the Prime Minister of Vietnam, Mr Nguyen Xuan Phuc, in Hanoi, Vietnam, today (March 22). They exchanged views on trade collaboration, implementation of the Hong Kong-Association of Southeast Asian Nations (ASEAN) Free Trade Agreement and other issues of mutual interest. Mr Yau said Hong Kong looks forward to establishing closer ties with Vietnam on all fronts. Mr Yau is leading a Hong Kong delegation of business people and professional service providers to visit Cambodia and Vietnam this week. During the meeting, Mr Yau also elaborated on Hong Kong's participation in the Belt and Road Initiative, noting that Hong Kong is a key link in the Initiative, capable of contributing to infrastructure investment as well as financing, and providing the professional and legal services needed to connect the many Belt and Road-related countries and regions, including Vietnam. Vietnam and Hong Kong enjoy good and long-standing economic relations and the ties have grown stronger. The bilateral trade in goods reached US$18 billion in 2017, placing Vietnam as the fourth largest trading partner of Hong Kong among ASEAN countries. 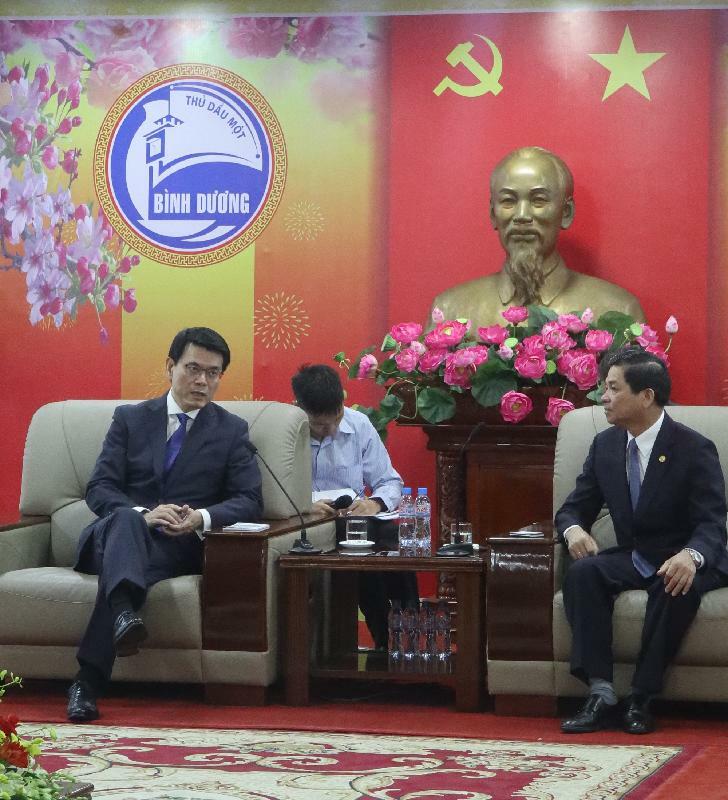 In the morning, Mr Yau met with the Vice Governor of Binh Duong Province, Mr Tran Thanh Liem, in Ho Chi Minh City to exchange views on collaboration opportunities. Meanwhile, the delegation visited an industrial park managed by the Investment and Industrial Development Corporation in Ho Chi Minh City. Established in 1976, the Corporation has now become a prestigious brand name in the field of investment and development of industrial, residential, urban and transportation infrastructure. It invests in and manages several industrial parks in Vietnam. 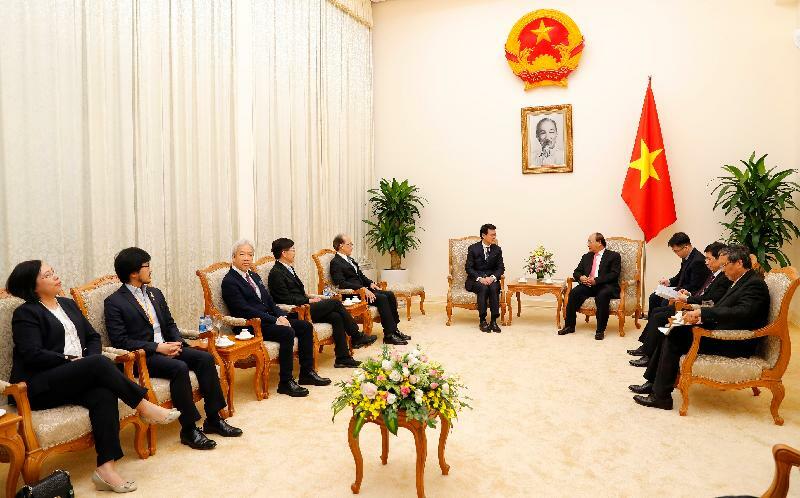 The delegation will continue their visit in Vietnam tomorrow (March 23).